What during human evolution accounts for this paradox: “we can be the nicest of species and also the nastiest”? What are the two kinds of aggression that primates are prone to, and why did each evolve separately? How does the intensity of violence among humans compare with the aggressive behavior of other primates? How did humans “self-domesticate” themselves? And how were the acquisition of language and the practice of capital punishment determining factors in the rise of culture and civilization? 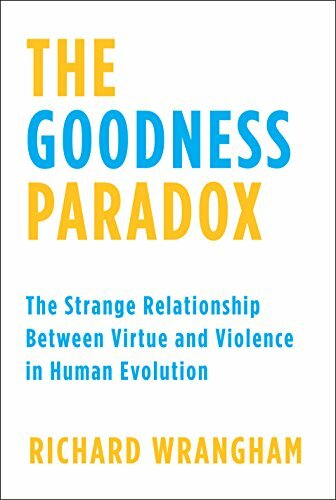 Authoritative, provocative and engaging, The Goodness Paradox offers a startlingly original theory of how, in the last 250 million years, humankind became an increasingly peaceful species in daily interactions, even as its capacity for coolly planned and devastating violence remains undiminished. In tracing the evolutionary histories of reactive and proactive aggression, biological anthropologist Richard Wrangham forcefully and persuasively argues for the necessity of social tolerance and the control of savage divisiveness still haunting us today.